The night was nearing to a close, and frankly, people were getting tired. That didn’t stop nu-metallers一般性 from giving it all they’ve got though. Opening with an atmospheric instrumental intro, 一般性 gave the audience the notion to start rocking along to記事, a heavy song with weighty riffs. 離開我 was next, again driving the audience and getting some people off their feet and warming up in the cold atmosphere. 訊號 was next, the song opening with some haunting guitar tones and Phrygian sounding chords, before ripping into a meaty chorus riff. The band followed with勇氣, a pretty sing-along-y song with a weird, creepy vocal hook in the verse, before giving a hard scream in the chorus. After a good blistering of路是絕無僅有, the band finished with一點一點, a korn-esque sounding track, and splitting screams from frontman敬程. Although there weren’t many people left (understandably, since some had been standing since 6), 一般性 still managed to get all 20 people off their feet and rocking along into the night. The festival ended with Chris B thanking them for staying until the end, and a few more raffle draws were announced. 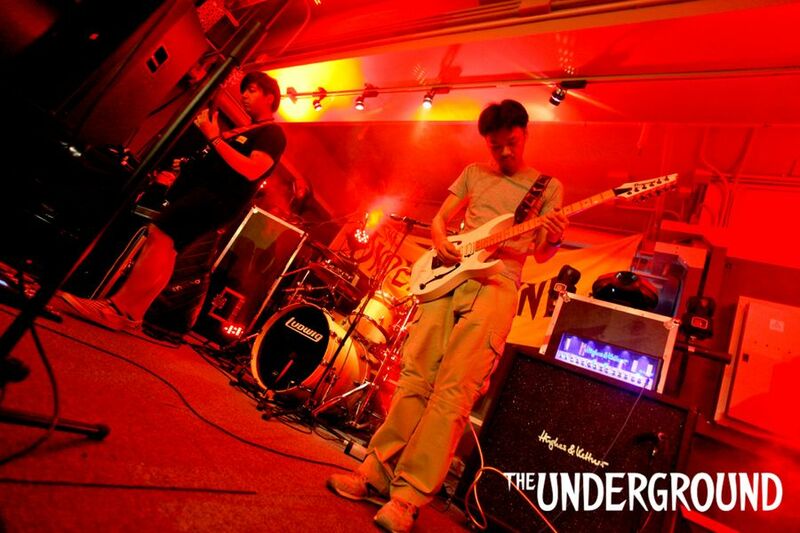 The Underground Summer Festival came to a successful close. A quite eventful night, with a good amount of people meandering in and out, and some very quality acts bought out by Chris. Well done The Underground! 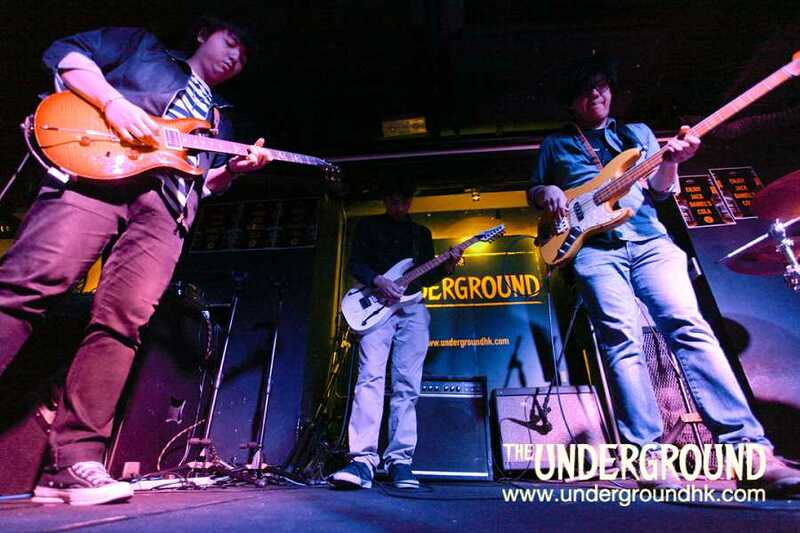 As HK rockers JatBunSing wordlessly took to the stage and began noodling, punters may have started checking their dates to make sure they weren’t at another of The Underground’s Songs Without Words nights. A beautifully constructed intro track was more reminiscent of Prune Deer than Slipknot, with shimmering chords and softly building melodies. It was just to warm up their fingers though; the fury was well and truly unleashed after Chris B introduced the first act of Heavy #12. First song 一點一點 (Little by Little) began with a nu-metal throwback of pudgy, Korn-style funk-metal bass and a raw punk scream from lead singer 敬程 worthy of Refused’s Dennis Lyxzen. Mullet-headed guitarist 哈利 barely had to tickle his distorted machine for it to produce the evening’s meatiest riff and drummer 孖田 knew when to unleash a blistering snare whack – without overdoing it. The main job of opening act on a heavy night may be to gently break in the crowd to the ear-splitting cacophony that is to come from later bands, but JatBunSing offered no such solace. Rather than being little brothers to the following groups, the band delivered a bruising set that blew the plaster from the walls of Orange Peel with a succession of furiously raw metal. The night began with some shimmering guitars coming from the guitars of JatBunSing, which I thought was auguring some New Order-type slightly dancey, hooky stuff with 認識. Instead, the band then proceeded to play something distinctly funky in the style of the Red Hot Chili Peppers circa 1984. I was just getting comfortable with the sound when they band changed again to a more Noughties metal, almost nu-metal/metalcore sound, with some of the doom-like tones of System of A Down and their ilk. An interesting mix of sounds that had varying degrees of success as their set went on; however they committed what I consider a cardinal sin in that their songs have very clearly demarcated ‘sections’ in which one hears the style changing very abruptly. It’s almost like signalling “that’s the funky bit done, this is the metal bit”. I found the changeovers between the styles a little clunky and in some songs the arrangements were kludgey and sounded pulled-together arbitrarily. And 記事, honestly, was just too messy for funk which requires the paradoxical qualities of precision timing but that it feel effortless. However, despite all this, their performance and music were quite listenable, and I suspect that it’s to do with three things. First of all, it’s that the combination of styles they try to pull together, in itself, is rather rare. Secondly, they did this without attempting to make the styles fit a poppy sound (like many other bands here have done before). Hence, despite the transitions not being as smooth as I’d have liked, they still had an unusual musical palette that was not pop-ified, and the band clearly had enough skill to pull it all off. Thirdly, they don’t have what I’d call a “singing” singer; the temptation for bands in HK, by far, is to have someone with far too much training to be a good singer for non-melodic styles of rock music. The result usually is that they totally over-sing songs, sacrificing edge for displays of vocal skill; now I’ve got nothing against such displays but they’ve ruined many a song for me because the singer is clearly pre-occupied with sounding like a good singer rather than making the song sound good. Not this band; their singer is more along the lines of someone like Mark Arm (Mudhoney) or Keith Morris (Black Flag/Circle Jerks). His scream-singing gives the band a much-needed edge, and it certainly helps that he often did this standing with his hands by his sides, paradoxically looking like a small child. In all, I’d love it if the band made their transitions smoother and less obvious in order to get their song to gel, but they’re definitely on to something with their sound and are very much worth checking out.